Before we begin: Minor spoilers ahead! Life is Strange is a series near and dear to my heart. 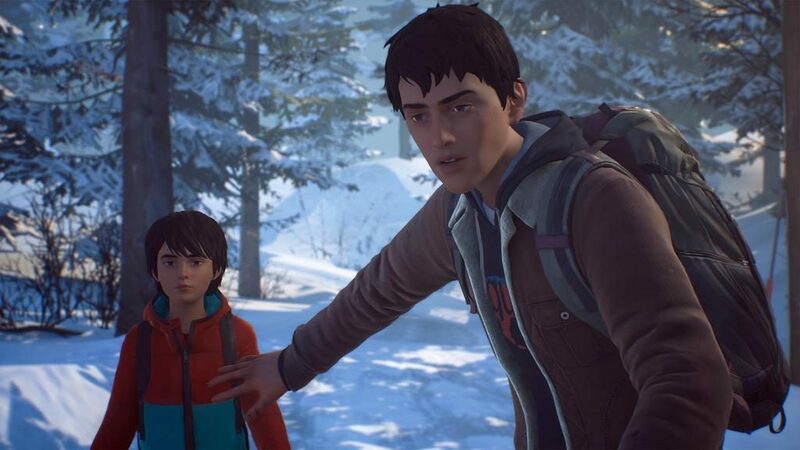 No one can tell a story quite like DONTNOD, and the second season looks to be just as promising as the first. DONTNOD manages to make our boring, mundane world feel magical, and I’m not just talking about the superpowers. They have a way of creating an atmosphere that is wholly unique to this series, somehow putting together an experience exuding love, suffering, beauty, and growth. The world is stunning, despite the fact the graphics are somewhat simplistic compared to other games released this year. On top of being beautiful to watch, I feel words would fall short trying to describe the incredible music, and the elegant ways in which it’s used. I could go on forever describing the emotions this game will instill in you, but it is a journey you have to experience for yourself. Making choices is the core aspect of this series, and they can have long-lasting and devastating consequences. There are moments where I find myself sitting, staring at the screen, really debating the choices the game puts in front of me. To quickly recap episode one: “Roads,” a tragic accident causes the two young brothers, Sean and Daniel, to flee from home on a journey to find safe harbor. Despite Daniel’s young age, he has a great, and nearly, uncontrollable power. It’s this power that has forced them out and on the run. We watched as the two got used to roughing it in the great outdoors. They quickly learned what it meant to have to count on each other to survive. The choices the player made for them shaped them as people, not only in episode one but in all the episodes to come. They met new people along the way. One of whom tried to imprison you, while another saved you. With each new encounter, you find yourself beginning to either doubt everyone you meet in the game or take the risk that they may help your situation. Episode 2 starts with Sean coaching Daniel on how to use his new powers. Still alone in the forest, hiding away from the world, but now they are living out of an old abandoned home. It was a great start to the episode, one that immediately instilled the discomforts they’ve had to endure together. Especially their bathroom situation. Things quickly take a drastic turn, and the terrifying consequences of your decisions immediately bear fruit. They are forced to leave their new den, and the rest of the game takes place at their grandparent’s house. From here, the pace slows down, yet never manages to bore or disappoint. You begin to enjoy the simple, quiet life the boys are now treated to. It’s an awkward reunion, due to this being their mothers family. Their mother who abandoned them when they were little, and forced their father to raise them alone. The entire family has cut her off, and the boys are torn between leaving her in the past or digging through the house for answers. Before DONTNOD officially released Season 2, they gave us a small glimpse in the form of “Captain Spirit”. The episode revolved around a little boy named Chris, and his exploits as the superhero, Captain Spirit. It was a charming story on the surface, but underneath its boyish charm hid a tragic tale of loss and pain. The choices made in this demo transfer over into Chapter 2, and you see them take shape in Daniel and Chris’ new friendship. At the end of each chapter, you gain a glimpse into the different paths your actions could’ve gone down, with astonishing differences. Where DONTNOD takes this into episode 3 is something I can not wait to see. No game is perfect, but to try and find anything wrong with this one would just be nit-picking. If I had to point out one thing, it would be the voice acting. In most instances it’s is top-notch, except for a few of the characters. Sometimes it felt as if the actor had more important things they’d rather be doing with their lives. No enthusiasm whatsoever. 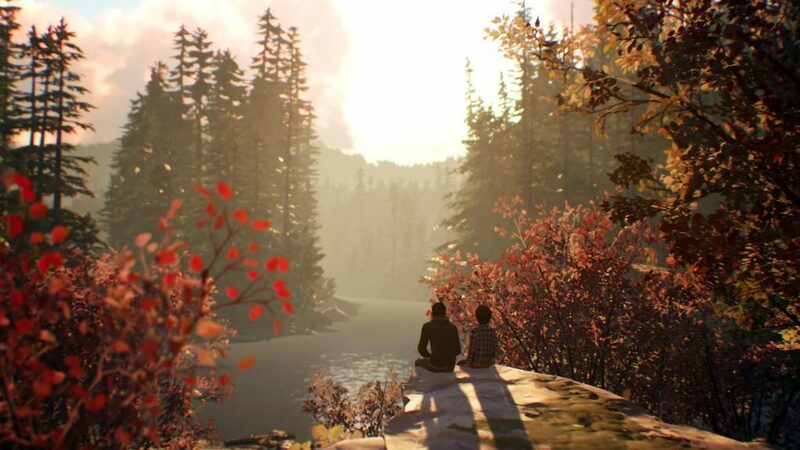 If you haven’t had a chance to check out Life is Strange 1, you should drop everything you’re doing and give it a chance. You’ll be glad you did. As for this chapter, I give it 9 Hawt Dog Men out of 10.